Many reasons support why an organization should pursue ISO 9001 certification. Often, it’s because a client requests it, or a contract requires it, or the Management Team sets it as a strategic priority. 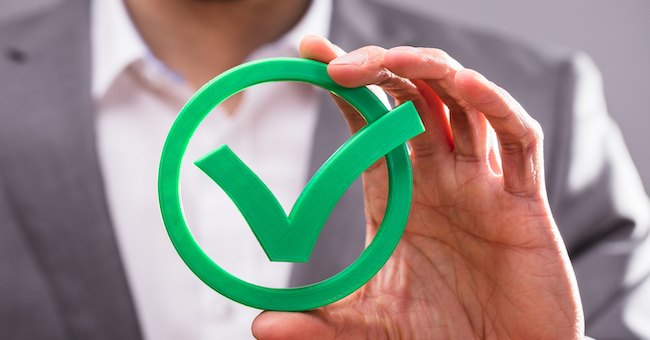 Whatever the reason for achieving ISO certification, here are the Top 10 Benefits you will experience when implementing this standard as a good practice in every facet of your company. Companies with ISO certification experience an improved level of quality in products, processes and services. The ongoing verification of the system and processes occurs through an independent third-party. The thoroughness of an ISO 9001 Quality Management System, can increase efficiency and make the most of your organization’s time and resources. The ISO 9001 standard is recognized around the world and is governed by the International Organization for Standardization (ISO), in Switzerland. Obtaining an ISO 9001 certification elevates your organization placing it in a very elite category. Many times, companies will require that their suppliers must be ISO 9001 certified to earn or keep their business. If your business doesn’t meet this criterion, you could be losing out on sales. Utilizing the requirements set forth in ISO 9001 will help you identify and mitigate threats to your business model. Your customers can expect a high level of quality which equates to fewer complaints and swift and effective resolution of those you receive. This results in repeat business and increased sales. In addition, maintaining quality in your organization minimizes the chance for mistakes that could damage your reputation. Adapting to the requirements of ISO 9001 will help you control your processes allowing you to better manage your organization and provide a deeper understanding of your business. When done effectively, the business processes are the same as the quality processes, expanding the responsibility for quality across all business processes. Having well-defined job descriptions, expectations, and objectives gives employees the confidence they need to empower them to perform their duties at the highest level. An organization will experience an improved company culture, better teamwork, and a more proficient workforce. Consistent process audits done with the ISO 9001 QMS keep an organization focused, while providing the necessary feedback when a company deviates from its path. Establishing a rigorous ISO 9001 Quality Management System, can improve processes, reduce inefficiency and waste, and assist in achieving an organization’s objectives. Most importantly, as your company grows, becoming certified is vital to fostering continued success in the future. As an ISO 9001 certified company, simpleQuE’s experts are qualified to assist you in achieving ISO 9001 certification so you can also experience these benefits.